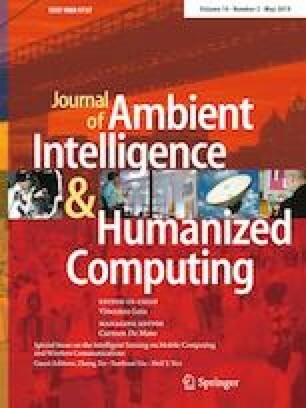 Current research in human–computer interaction reveals the importance of taking into account emotional aspects in the interaction with computer systems. The main objective of promoting this emotional recognition is to contribute to the enhanced coherence, consistency and credibility of the computer reactions and responses during human interaction through the human–computer interface. In that context, computer systems can be explored that can identify and classify the user’s emotional condition. In this study, computer techniques are used to identify and classify emotional aspects based on the users’ discourse, aiming to assess the emotional behavior in the daily reality of critical care professionals. Hence, in the study of computer techniques and psychological theories, both areas can be related to classify emotion through a framework for the acquisition and classification of users’ discourse. The system developed was applied as an additional evaluation method in the development of simulated scenarios in the context of Clinical Simulation and demonstrated its efficiency as a new approach in health assessment. Author would like to thank the support from Foundation for Research Support of the State of Sao Paulo - FAPESP (Grant Numbers 2016/14267-7, 2016/25865-2, 2017/21054-2 and 2017/23655-3) for funding the bulk of this research project. In addition, we would like to thank the University of Groningen and the University of Ottawa.